Early summer offers some of the best fishing on the Farmington River. The tailwater releases keep the water cool no matter how hot the weather and the major mayfly hatches – sulphur, cahill, blue wing olive – all start peaking right at this time of year. Join us on Saturday, June 25th for our fourth annual barbecue on the banks of the Farmington River. We will be co-hosting with the Mianus Chapter of Trout Unlimited. This event is free to chapter members and guests but requires registration so we can get a solid headcount. Click here to register. Our experienced anglers are more than happy to show beginners and newcomers to the Farmington River where and how to fish this great tailwater stream. Spend the day fishing with us to learn access areas to the river, techniques for catching more trout and have a blast in the process. 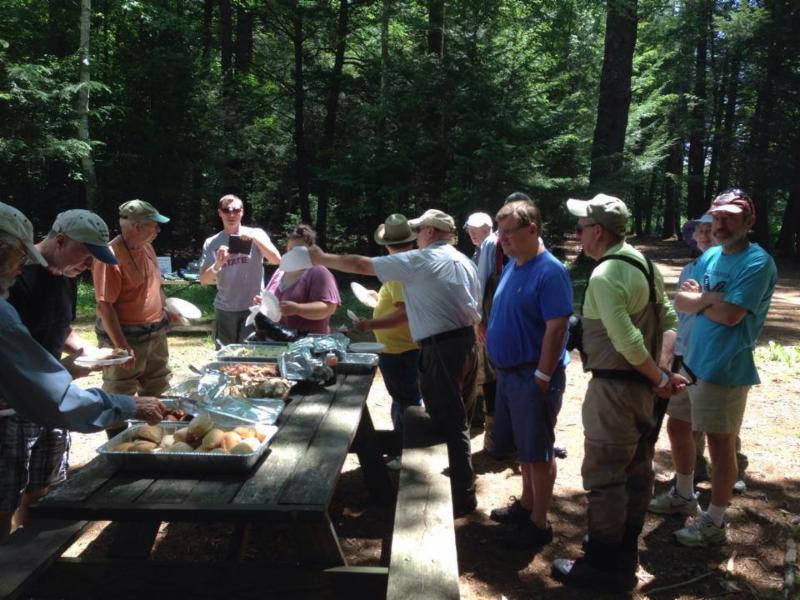 A free barbecue lunch is served up at noon but many members will be there early and will stay late to fish. We’ll be fishing the Whittemore Grove area of the Farmington River (click here for driving directions) and anglers are free to come and go as you please. Spend the whole day with us, stop by for a few hours or just swing by at noon to grab a bite and chat! Whether you come for the food, the camaraderie or the trout fishing, you’re sure to have a good time. We hope to see you there!